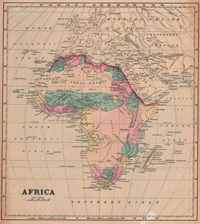 Special Collections has a wide selection of cartographic material including over 5 000 published African maps covering a range of topics and eras as well as a wide selection of cartographic material from officially produced atlases to valuable hand-drawn maps in personal manuscript collections. Maps can illuminate social and historical research problems in unexpected and even startling ways by visualising data in a beautiful and unique manner to reveal unseen links between phenomena. Cartographic material can graphically illustrate spatial relationships that provide new approaches to thinking about class structures or trade patterns, or can provide insight into the ways our ancestors saw and interpreted the world. UCT Libraries is currently involved in two digital infrastructure programmes whereby many of the maps in the collection are being digitised and made accessible online. In addition, the William and Yvonne Jacobson Digital Africana Program facilitated a collaborative partnership between UCT and Stanford University whereby African maps housed at each institution would be shared and made digitally available on UCT Libraries’ Digital Collections website. Please see the Digital Collections site for more maps. In the years before digital global positioning technology, atlases and map books were an essential component to any adventure. Special Collections has many special atlases in its holdings including the Africa volume of the wonderful Grote Atlas van de Verenigde Oost-Indische Compagnie compiled by Bea Brommer and the Atlas of the Union of South Africa, an unprecedented collection of 600 hand-drawn black and white maps, compiled by Professor William Talbot, the first professor of Geography at UCT. The African Studies Book Collection also has many historical and contemporary road maps and town plan books in its holdings. Table Bay: Reclamation of Foreshore. Cathcart W. Methven. M. Inst. C.E.F.R.S.E. Some of South Africa’s cartographic gems are the official maps prepared by government departments. 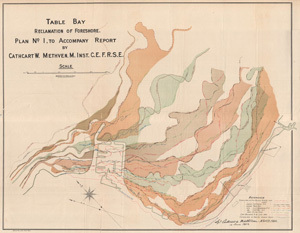 Special Collections’ Government Publications unit has a vast plethora of such maps dating back to the earliest days of the Cape Colony, including those accompanying reports in the historic Annexures to the Votes & Proceedings of the House of Assembly. Key to the geographical relationships of early Bantu "kingdoms", from a series of hand drawn maps and notes. Westphal, Ernst (Ernst O. J. ), 1919-1990. Special Collections is the home of over 1 500 unique manuscript collections. From personal papers to organisation's archives, many of these collections include uncatalogued maps and rich cartographic material. 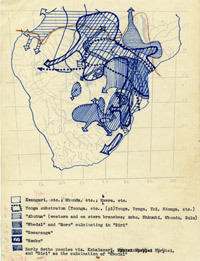 The Ernst Westphal Papers, for example, which documents numerous now-extinct languages, also includes several hand-drawn maps documenting the migration of linguistic groups across Southern Africa which Westphal used to refine and perfect his research. 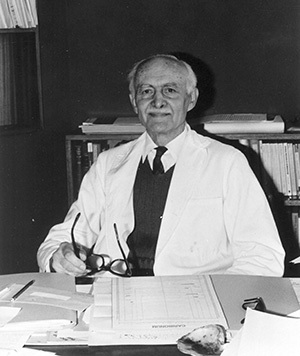 Professor William John Talbot (1908-1985) – the first professor of Geography at UCT – was responsible for establishing the Talbot Map Collection at the University of Cape Town. This large collection includes historical maps of the African continent, various maps of African countries, early maps of the Cape of Good Hope as well as valuable military maps used during the Anglo-Boer war. For many years the collection was considered to be the most comprehensive topographical map collection in South Africa – so much so that in the build up to WWII the South African Military commandeered several maps from the collection for planning strategic military operations in French North Africa. The collection has since been donated to Special Collections where it has undergone conservation and is stored with the existing map collections in our environment-controlled facilities. Please see the Humanitec Special Collections’ Map site for more information. The William and Yvonne Jacobson Digital Africana Program is a collaborative initiative between Stanford University Library and UCT Libraries. Through the programme a selection of the African historical maps held in UCT Libraries have been digitised and made available on UCT’s digital discovery platform as well as on Stanford University’s Maps of Africa portal. Similarly, digitised maps, including African maps from the famous Dr Oscar I. Norwich Collection, from the Stanford University Collection shall be accessible via UCT Libraries’ digital repository.